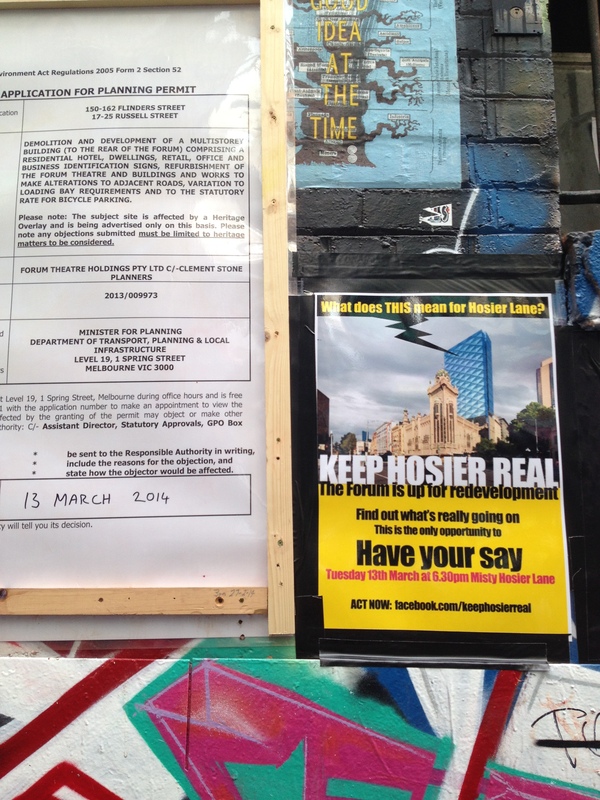 Please have your say on the Swanston Street entrance to Melbourne. The City of Melbourne is conducting a consultation for residents on the important intersection of Swanston St and Flinders St and the block up to Flinders Lane. This is the largest pedestrian gateway to Melbourne. In order to participate please register here. You will be compensated with a $30 shopping voucher for your time. The Video Ethnography project provides people with the opportunity to talk on film about Swanston St between Flinders St and Flinders Lane. We look forward to hearing about what you think about this important space. We would like you to come down on two successive Fridays. We need your feedback during the day and night as the space changes significantly over this time. When you register please commit to both sessions. We will meet you at Brunettis at City Square with a complimentary coffee. After the sessions on Swanston St there will be a catered follow up meeting at the Melbourne Town Hall. This is where you will get the opportunity to prioritise the most important feedback back to Council. We have received confirmation from the City of Melbourne that a decision will not be made before 4th July 2011. Any submissions made regarding the application before that date will be considered. There is still time to get you objection in!! 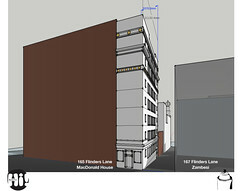 As you may be aware, there is a proposed development for the property at 172 Flinders st, directly to the west of our lanes. As a lecturer in the RMIT Architecture department, and owner of an apartment at 166 the community has asked me to look over the scheme. 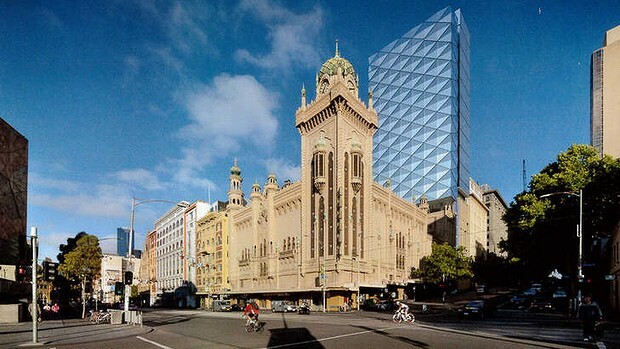 In my opinion the proposed development is relatively modest (11 floors from ground) and does engage with the heritage overlay. It will most likely be approved in some form. There are, however, some issues with the development that will affect our community and buildings This is why we recommend everyone to carefully look at the scheme and consider placing an objection. It is important to get objections from everyone that is affected. Our objections may help modify the scheme to better address the issues affecting our area. Group objections are counted as a single objection. Also, cut and paste objections are not taken as seriously as individually written ones. Therefore, I am outlining some reasons for objection in this letter which you may wish to use, rather than writing a template. Wording that should be maintained in your objection are in bold below. This information is also available to download as pdf here: Community_Reasons_To_Object-01, or as a word doc: Community_Reasons_To_Object. We should insist that as the noise and vibration during the works have the potential to substantially interfere with our buildings amenity the applicant should be made to submit a Construction Management Plan to be approved by Council before building works begins with a Noise and Vibration Management Plan as a required component. Also the applicant should not be allowed to extend the hours in which noise can be made (7am-7pm weekdays and 8am – 3pm Saturday and not at all on Sunday) via any Out of Hours Permit. Given the general age of our buildings there is potential for damage to our property due to construction. It’s important to request a dilapidation inspection report for any buildings adjoining the building site as a requirement of approval. The purpose of a dilapidation report is to independently detail all pre-existing defects in the condition of buildings and surrounding infrastructure before any construction works commence on adjoining properties. 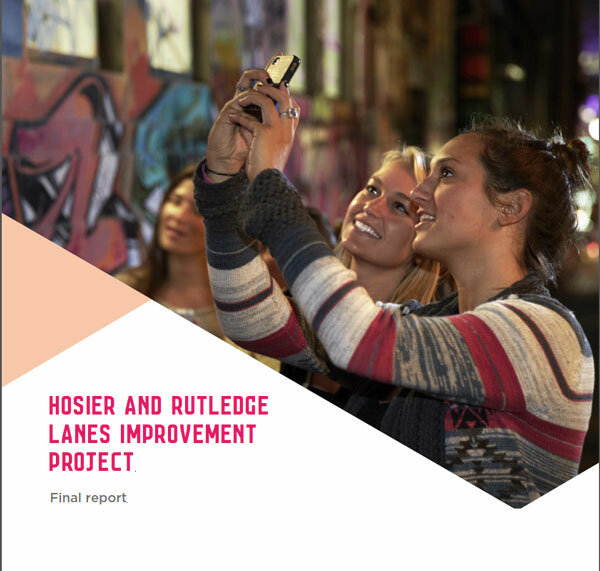 It should be noted in your objection that Hosier and Rutledge lanes are heavily used by the community and the public for both vehicular and foot traffic. In the interest maintaining this thoroughfare and public safety the impact of construction vehicles and works should be kept to a minimum and should not be used for site loading / unloading or storage. As mentioned in 1.7 Heritage: Streets and Laneways on page 17 in the architects report Rutledge and Hosier Lanes are identified in the Melbourne Planning Scheme as being category A lanes. Accordingly it’s policy that the design of buildings near lanes are assessed against the following standards. – Development adjacent to lanes should enhance the amenity and character of the lane and provide active uses wherever possible. – Development adjacent to lanes should promote small scale activities such as retail, service, and community facilities that contribute to the pedestrian role and enjoyment of laneways,. 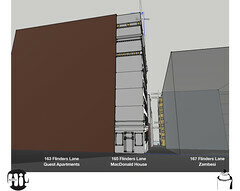 – Development adjacent to lanes should maintain the human scale, sense of openness and predominant parapet height of laneways by setting back higher tower forms. 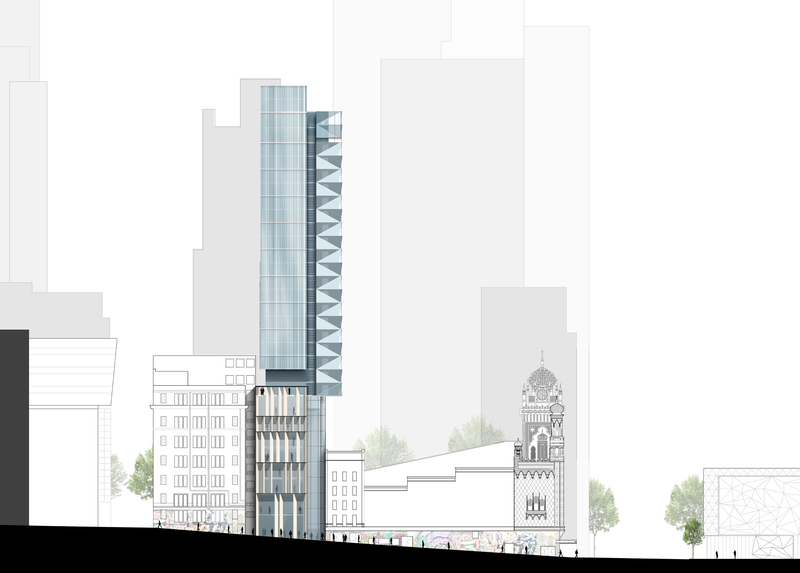 Also in the Flinders Gate Precinct, which our buildings reside the recommended maximum height limit is 40m, this proposal is 45m high in the area that will overshadow Rutledge and Hosier lanes (as shown in drawing 3.2 section C on page 66 of the architects report). This is a full extra story. 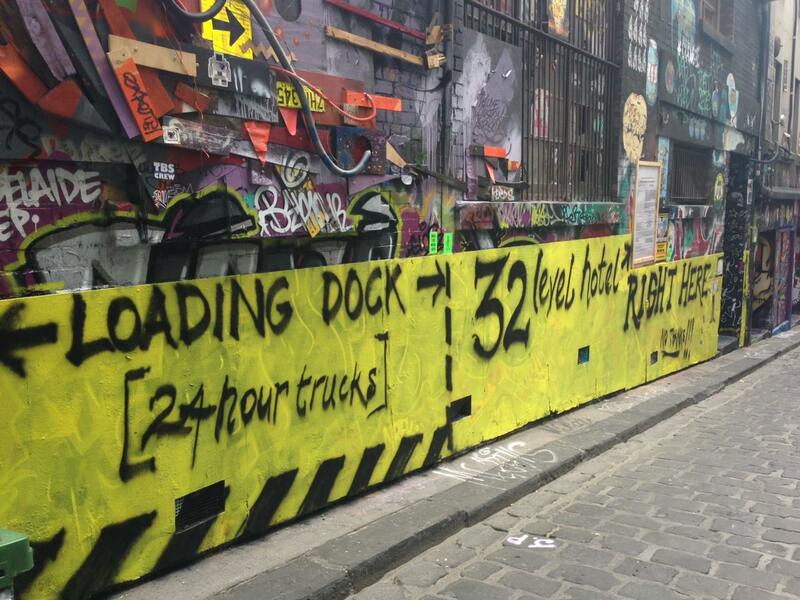 This contradicts both the recommended maximum height limit and the Melbourne Planning Scheme Laneways policy. 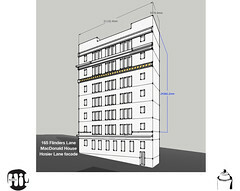 As such a reduction in height of the building could be recommended. The project also fails to promote small scale activities that benefit the Hosier / Rutledge community. It could be mentioned that although we applaud the applicant for expressing interest in allocating space for community waste management the area identified is already used for waste and is not deep enough for large bins. 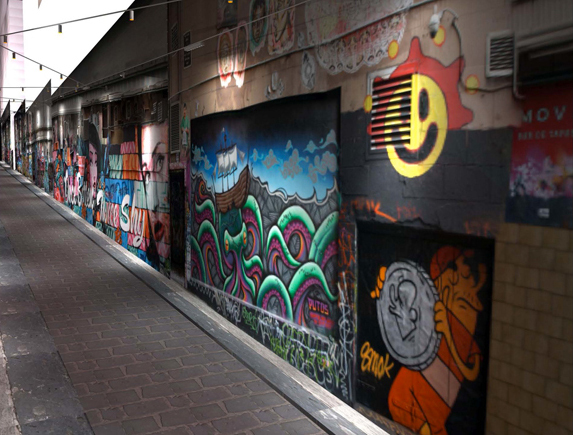 Again the “opportunity for Street Art” has been identified by the applicant in an area that already has significant street art, so although we encourage the continued use of these areas this proposal is not seen as adding any additional areas or amenities to our lanes.